If you read this post the other day - or if you don't live under a rock - you'll know that London was overrun with bookworms from July 17th-19th due to YALC, otherwise known as the Young Adult Literature Convention. I had to go. And, of course, I came away with a lot of stuff. Eight tote bags full of stuff, in fact - most of it free! 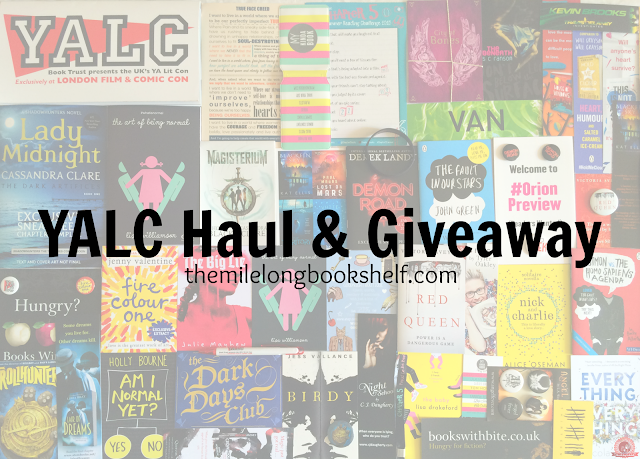 If you want to know more about the day, you can read my event recap here, but today I'll be showing you the books I bought, the books I got signed, and the freebies I picked up, some of which I'll be giving away in this post. Unfortunately, I completely forgot about the list which was right there on my phone and so I only bought Counting Stars and Fans of the Impossible Life. I'm glad I got those, obviously, but I'm really disappointed that I didn't get the others. And they were on the same stand as Counting Stars so how I missed them, I don't know! I really, really wanted those signed copies, as I doubt I'll ever get the opportunity to get them signed in person. 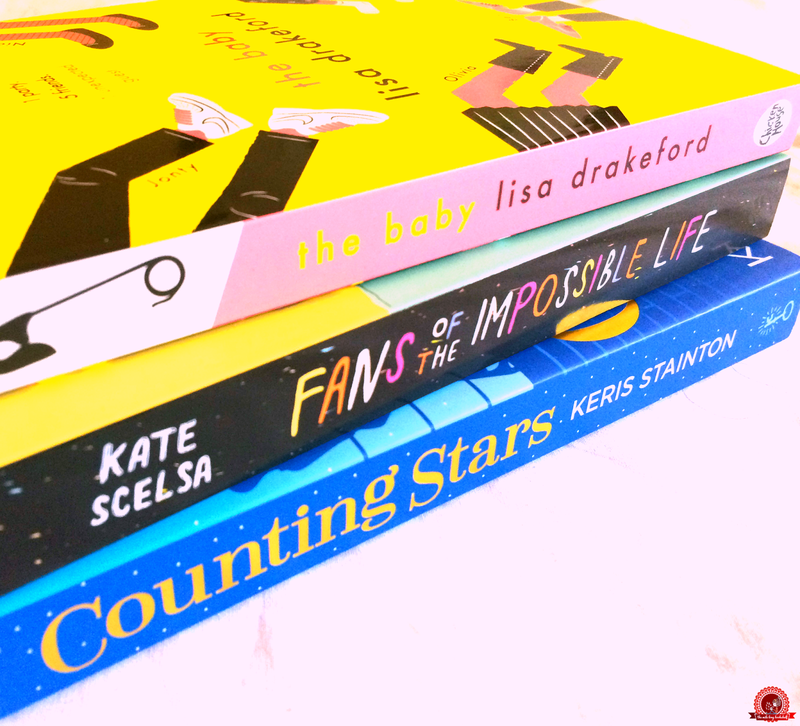 Not on my list as I already had a copy was The Baby by Lisa Drakeford, but I ended up buying a signed finished edition as I loved it so much. While I didn't buy many books - only three, what?! - I got a lot signed. I only attended two signings at YALC, but between them, Cassandra Clare and C.J. Daugherty signed thirteen books! Can I just point out the messages C.J. wrote? I love it when authors write things other than their name, but especially when the message is personal! And now... the book swag. 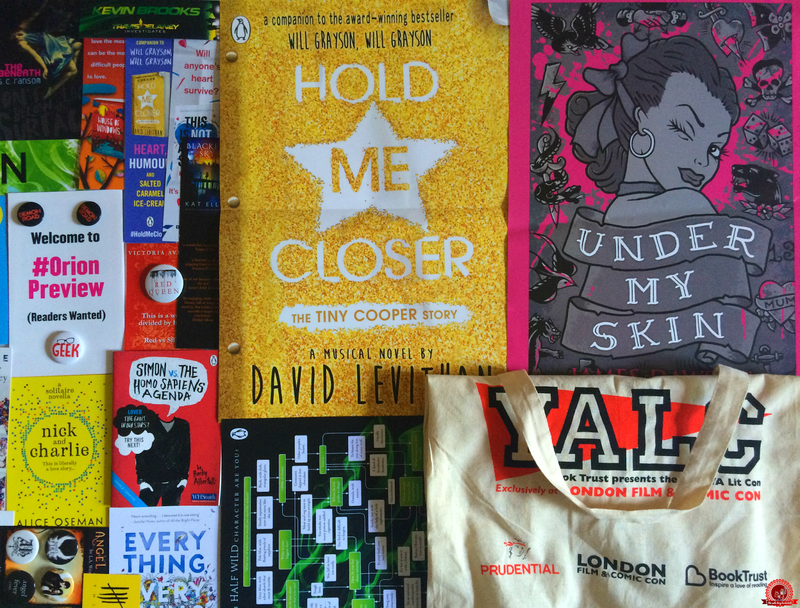 Not only was there a freebies table at the YALC entrance piled high with stuff, but every publisher stand had freebies too. IT. WAS. AMAZING. I am a big fan of free stuff, as you can tell. 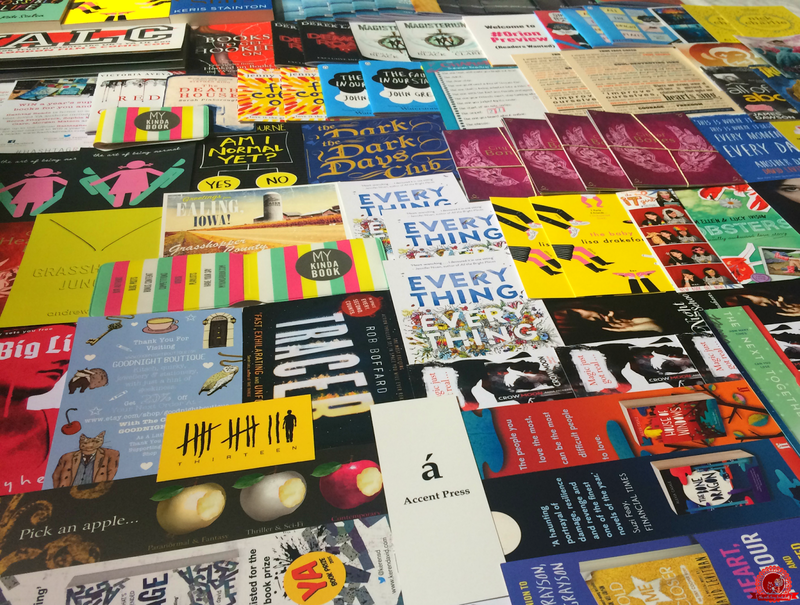 There will be one winner and it is open internationally! Click the arrows to see all of the prizes. Good luck! Such a fantastic giveaway, it looks like you had a wonderful time! Thank you for sharing :). This is so cool! Hope I win! this is an epic haul Amber, thanks very much for the giveaway. I so wish I could have gone to YALC; it looks like SO much fun! I definitely would have taken advantage of the freebies too. I love a good freebie! Awesome giveaway!! It looked like a great time, wish I could have gone! Wow so much pretty! Wish I could've gone! Definitely will be there next year! What a fab giveaway! 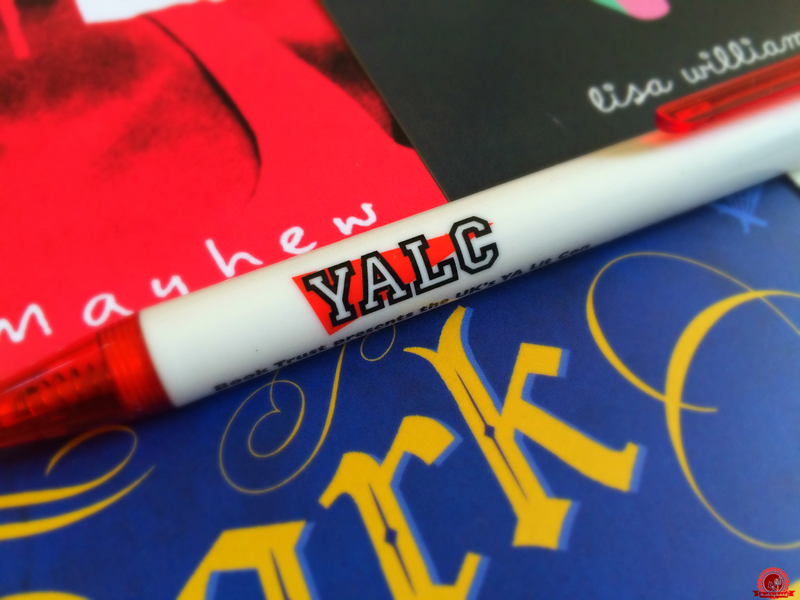 I knew nothing about YALC until I saw a few videos about it, I really want to go next year! WOW!! This is amazing. Thank you. FANGIRLING SO BAD OVER DEMON ROAD!!!!! The event looks like it was amazing, I wish I lived closer so I could have gone. And wow what a giveaway!! Thank you. P.S. I love your youtube videos. My daughter would love all these books (& so would I?!) - fingers crossed! Oh wow, what a haul! I love personal messages from authors when they sign your book - it's always so nice to feel like they've appreciated you enough to write more than their name. Looks like you had an AMAZING time! 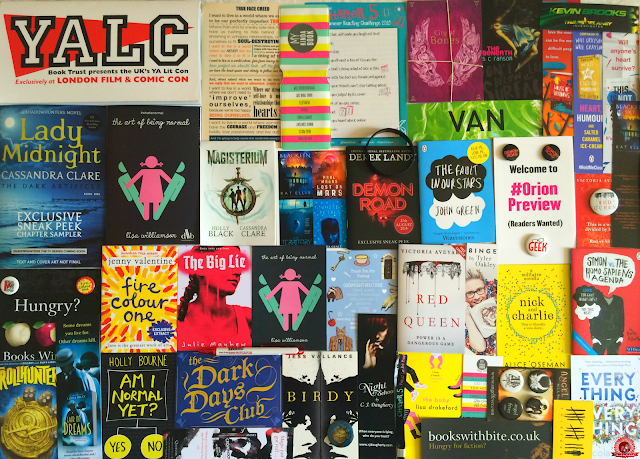 YALC sounds amazing-- And I love personal messages from authors too! Thank you for the giveaway! Sounds like an amazing book event - HOW COME I've never heard of it?! Thank you for alerting me to it - Hopefully next year I will be well enough to attend.